This lakeside dwelling reduces the footprint - literally and environmentally - from its large, aging, leaking, energy-guzzling predecessor. The main living space affords visual transparency from a private south-side patio that collects sun throughout the day, to the shadier terrace facing the lake which benefits from morning light. The south side overhangs provide integral protection from the mid-day summer sun. The diagonal “zig” of the zigzag orients the main living space towards the “long” view across the small lake. A simple roofline rises above morning mists off the water, and is oriented to accommodate ample solar panels to power the heating system. Superior insulation, and a lakebed ground-source heat pump tied to a radiant concrete floor reduce demand for energy. 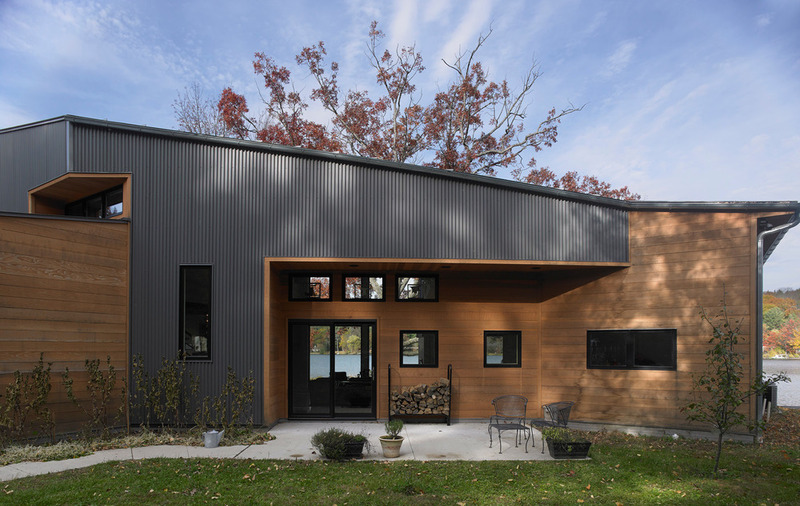 On the exterior, overlapping panels of corrugated steel and redwood siding respond to different conditions of light, privacy, and touch around the perimeter. Salvaged cabinetry, lumber, lighting and glass block were harvested from the previous home. ZIGZAGhouse’s eponymous geometry is reinforced at the ceiling, where exposed parallam beams cross the room at a 55° angle, activating the space. 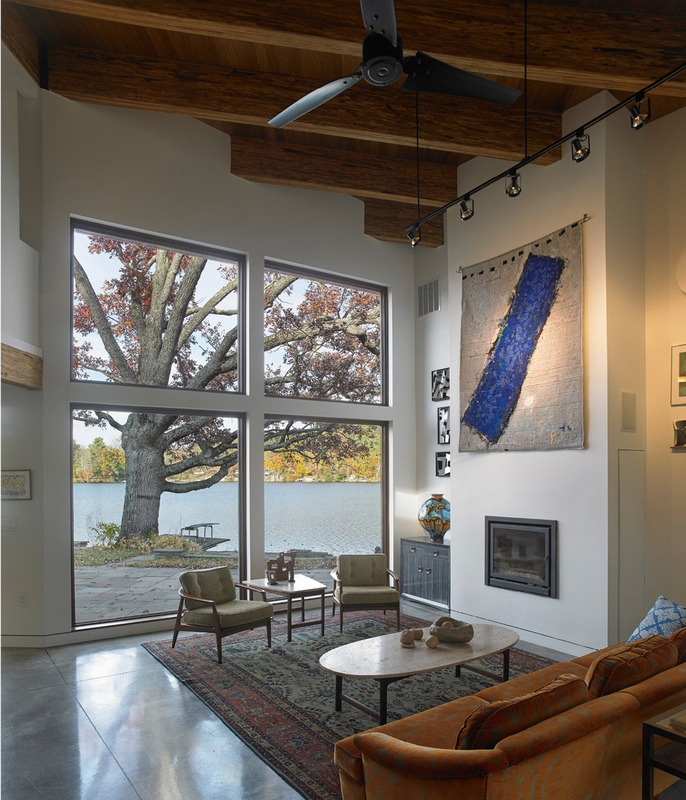 The artist-owners were active design participants towards a home that showcases their own art and frames their peaceful setting.